I like it, but this whole getting drunk thing is getting tired. 3.5*.<br><br>EDIT: Already starting to like this less. 3.5* -> 3*. The chorus is reasonably good and the rest of it is fine but there's not much to get into.<br><br>Edit: But I'm getting into it anyway. Really enjoying the chorus. Hat ordentlich Tempo u. Strom inne. 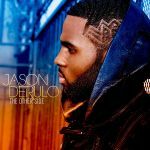 Wie so oft liefert hier J. Derulo einen geeigneten Track für den Club oder die Cabriofahrt. <br><br>Gesanglich traut sich der Junge einiges zu mit den hohen Tönen. Ist ihm doch gelungen - zumindest zerspringt kein Glas deswegen. Generic but not bad enough to score as a terrible song.<br><br>EDIT: I'm actually starting to enjoy this. Apart from the lyrics and horrible chorus, everything seems to sound decent.